‘It’s a pampering balm fused with a lightweight lipstain in an adorable chubby crayon. 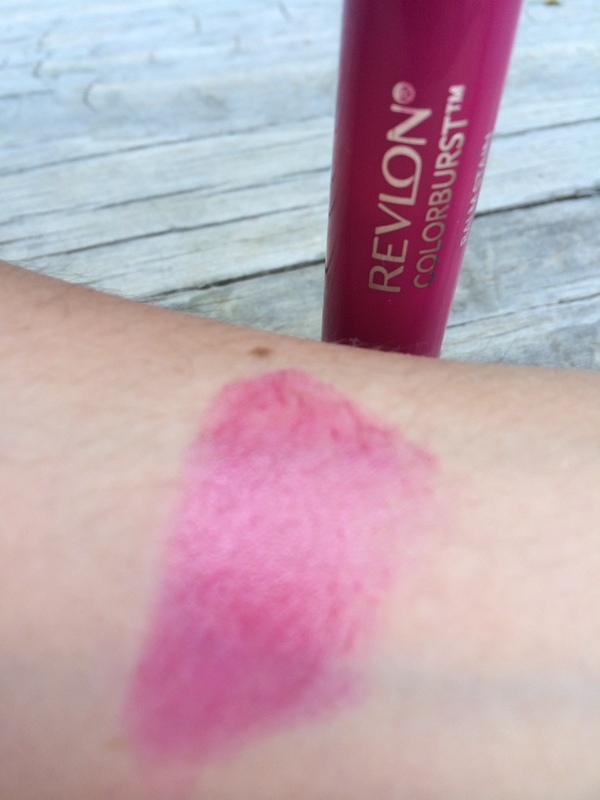 Revlon Colorburst Balm Stain gives softer, smoother lips with a perfect flush of color that lasts hour after hour’. I totally agree with Revlon’s claims. The balm stain is moisturising and has great colour pay off. Best of all it actually does stain your lips! My lips were still bright pink after hours of wear. It even survived through an Italian meal! You can build up this product from a light stain to a full on bright lip, depending on your preference-I’m a bold lip girl myself. My dry lips are not a huge fan of drying matte formulas, so this is perfect. It leaves a nice sheen on the lips but not too glossy. I opted for the balm stain in ‘SMITTEN’, a nice plummy pink colour. For those of you who are more on the matte side, Revlon also do a matte version of these balms too. A red lip that stays on all night – what else could a girl want?! Is that the creamy lip stain? I got the red and pink ones. Tried it on once but felt it was a bit drying. I’ll have to give it another go! Inicderble! This blog looks just like my old one! It’s on a totally different subject but it has pretty much the same page layout and design. Great choice of colors!